The Nigerian loan market has been significantly depressed for the past two to three years for a variety of reasons, some of which are the significant drop in commodity prices (especially crude oil) in 2016, the substantial reduction in Nigeria’s foreign reserves from 2015–2017, and the massive non-performing loans that Nigerian banks suffered as a result of their exposure to oil and gas and power assets.2 The implication of this was that banks, which are the main providers of finance in Nigeria,3 took a flight to safety and, instead of providing finance to the real sector of the economy, invested significantly in Nigerian treasury bills and federal government of Nigeria (FGN) bonds. 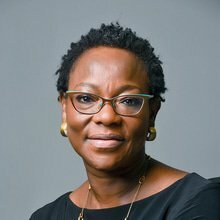 The foregoing factors coupled with the fact that one of the five major telecommunications companies in Nigeria was declared as defaulting on its debt obligations in 2017, and national elections scheduled to occur within the next 10 months, the watchwords of the recently recovering bank lending market in Nigeria have been ‘caution’, ‘security’ and ‘good-quality assets’. In addition to the uptick in crude oil prices, the genesis of the steady recovery of the lending market can be ascribed to some of the economic reform programmes undertaken by the government in 2017. The strong focus on the Nigerian domestic manufacturing sector, coupled with the provision by the Central Bank of Nigeria (CBN) of specialist intervention funding to targeted sectors and the passage of certain legislation in 2017, improved the access of companies, especially SMEs and manufacturing companies, to debt financing. Specifically in 2017, the federal government signed into law the Credit Reporting Act (CRA) and the Secured Transactions in Movable Assets Act (STMA Act).6 The objective of the CRA is to facilitate and improve the access that micro, small and medium enterprises (MSME) have to finance and enhance risk assessment and management in financing transactions. The STMA Act was enacted to govern the creation of security interests, rights and obligations of parties to registered security agreements and sets out mechanisms for perfecting security interests in movable assets. The STMA Act establishes a national collateral registry and sets out rules for the determination of priority of competing interests in secured assets. It is the hope that the STMA Act will encourage the use of movable assets as collateral in debt financing. The Credit Condition Survey Report (CCSR) of the CBN also showed that there was an increase in availability of secured credit to households and corporates in the first quarter of 2018. The CCSR also indicated that the availability of secured credit to households was higher in the first quarter of 2018, compared with the fourth quarter of 2017. The survey added that secured credit is expected to grow during the second quarter of 2018, as a result of favourable liquidity positions and higher appetite for risk. It is the hope that adequate access to credit will in turn have a greater impact on the Nigerian economy. There are a large number of Nigerian banks and law firms that are members of the Loan Market Association (LMA), and as a result a lot of syndicated loan agreements or even bilateral loan agreements are modelled on the LMA forms and precedents. There is actually an LMA facility agreement that has been drafted and agreed for naira facilities and for use in the Nigerian lending market. One of the major reform objectives of the FGN is to improve the ease of doing business in Nigeria and improving the access that SMEs have to debt financing. In line with this objective, in 2017 the FGN passed the following legislation. The primary purpose of the Credit Reporting Act 2017 (CRA) is to create a platform that enables persons who are ‘credit information providers’ to provide credit bureaux with information relating to a person’s credit history and then share such information with persons who are ‘credit information users’. promote a fair and competitive credit reporting system. Generally, the CRA was enacted to create a transparent and more efficient lending system in Nigeria. The STMA Act applies to all security interests in movable assets created by an agreement that secures the repayment of money or the performance of an obligation and applies to all financing and operating leases entered into after its coming into effect. The STMA Act also establishes a collateral registry for the registration of security interests in movable assets. However, the STMA Act does not apply to: (1) any right of set-off; (2) the creation or transfer of an interest in land other than account receivables; and (3) any interest created by a transfer, assignment or mortgage in movable property governed by a law for which a registry has been established with regards to ships and aircraft. The STMA Act gives a creditor the right to assign its rights without the consent of the party granting the security or (where different) the borrower, notwithstanding anything to the contrary stated in the agreement between the parties. While this may be seen as a breach of contract on one hand, this was put in place to facilitate the easy assignment of loans and accompanying security interests by and among lenders. In addition, to the foregoing, other significant legislative or regulatory actions that have recently been taken in Nigeria with respect to the lending market are as follows. The CBN issued the Micro Prudential Regulation (the Prudential Regulation) in 2015. The ultimate objective of the Prudential Regulation is to ensure the stability of the financial system and it emphasises the need for individual financial institutions to be safe and sound. According to the Prudential Regulation, the initial implementation phase of the key principles of the Basel III Accord was to commence on 31 March 2018. In May 2018, the CBN issued the Anti-Money Laundering and Combating the Financing of Terrorism (Administrative Sanctions) Regulations (the AML-CFT Regulations) for financial institutions and persons within the supervisory purview of the CBN. The AML-CFT Regulations sets out penalties and sanctions for the contravention of the provisions of the Money Laundering (Prohibition) Act 2011, Terrorism (Prevention) Act 2011, Terrorism Prevention (Freezing of International Terrorists Funds and Other Related Measures) Regulation 2013 and the Central Bank of Nigeria (Anti-Money Laundering and Combating the Financing of Terrorism for Banks and Other Financial Institutions in Nigeria) Regulations 2013. It is increasingly common for financial institutions in Nigeria to require borrowers and in some instances, their obligors to provide sanction-related representations and undertakings in their facility agreements. Loan transactions, as other commercial transactions in Nigeria, are subject to Nigerian taxes. These taxes include withholding tax on interest as well as stamp duty. A brief overview of each of these taxes is given below. Interest on loans is generally subject to withholding tax in Nigeria payable at the rate of 10 per cent of the relevant interest sum. However, where lenders are domiciled in countries with which Nigeria has entered into double taxation agreements (DTA), the applicable rate of tax will be 7.5 per cent of the interest amount, pursuant to the relevant DTA. Nigeria recently ratified the double taxation treaty that it entered into with Spain, thus bringing to a total of 13 countries that Nigeria has a DTA arrangement with. With respect to loan documentation, the market practice is that loan agreements are drafted to include gross-up provisions such that the borrower is obliged to pay an additional amount to the lender with interest, to ensure that the lender receives and retains the same amount that it would have received had no tax been withheld therefrom, or otherwise due as a result of the payment. The practical effect of grossing-up is that the lender receives the agreed interest sum while still fulfilling its withholding tax obligation under Nigerian law. The Stamp Duties Act requires any instrument executed in Nigeria, or relating, wheresoever executed, to any property situate or any matter or thing done or to be done in Nigeria to be stamped and the appropriate stamp duty paid in respect of the said instrument. With respect to secured facilities, the practice is usually to stamp the security document at the relevant ad valorem rate, while the loan agreement would then be stamped at a nominal rate of 500 naira for the original and 50 naira for each counterpart copy. Prior to December 2016, loan agreements with respect to unsecured facilities executed in Nigeria or that relate to any property situated or any matter or thing to be done in Nigeria, would usually attract a nominal stamp duty of 500 naira for an original and 50 naira for each counterpart. Deriving its powers from the Stamp Duties Act, the Federal Inland Revenue Service issued a public notice in December 2016 stating that unsecured facility agreements are to be stamped at an ad valorem rate of 0.125 per cent of the loan amount. It is pertinent to note that where the tenor of the unsecured loan agreement does not exceed 12 months, it can be stamped at a nominal rate of 500 naira. Nigerian financial institutions comply with the Foreign Account Tax Compliance Act (FATCA) by creating FATCA compliance units to oversee and ensure that FATCA reporting requirements are met. From a transactional perspective, financial institutions may allocate FATCA risk by inserting certain clauses and representations to ensure that downside risks that may occur are minimised.8 To assist with the above, the Loan Market Association template, which may be adopted by financial institutions, sets out information necessary to ensure compliance with FATCA. Nigerian law recognises various types of security interest. These security interests may be created over movable assets (tangible and intangible) and immovable assets (real estate) located in Nigeria. These interests may be taken in the form of a mortgage, charge, pledge or lien, or assignment depending on the type of property. Security over an immovable asset may be granted by way of a mortgage or a charge. A mortgage over land or other immovable assets may be created either by way of a legal or equitable mortgage. A legal mortgage involves a transfer of the legal title in the immovable asset by the mortgagor to the mortgagee as a security for the payment of the mortgagor’s debt. On the other hand, an equitable mortgage of an immovable asset is created by the mortgagor or borrower depositing the title deeds to the property with the lender, with or without a memorandum of deposit. An equitable mortgage creates a personal right against the mortgagor, which cannot be exercised without an order of the court. A fixed and floating charge may also be created on an immovable property. A fixed charge is created over a specific immovable property of the chargor, thereby restricting the right of the chargor to deal with the asset without the consent of the chargee. On the other hand, a floating charge may be taken over a whole or specific immovable property owned by the chargee. A floating charge does not attach to a specific asset until there is a specific event that will cause the charge to crystallise. To create an enforceable legal mortgage or a fixed charge over an immovable property, such security interest must be duly perfected as required under Nigerian law. The deed creating the legal mortgage or the fixed charge is required to be stamped (with ad valorem stamp duty being payable) and the consent of the governor of the state where the land is situated must be obtained. In addition to the requirement that the deed must be registered at the relevant land’s registry, where the party providing the security is a company, the deed must be registered at the Corporate Affairs Commission (CAC). Similarly, security may also be taken over shares of a company incorporated in Nigeria by way of a mortgage or a charge. In order to take a legal mortgage over shares, the mortgagor must transfer legal title to the shares to the lender, on the condition that such shares will be transferred back to the borrower on repayment of the loan. The lender must be registered in the company’s register of members as the owner of the shares. An equitable mortgage of shares is created by depositing the share certificates with the lender or a security trustee appointed by the lender. Where an equitable mortgage is created, legal title to the shares is not transferred to the mortgagee (bank or security trustee). Security can also be taken over shares by way of a fixed or a floating charge. Under Nigerian law, there is no requirement to register a share charge at the CAC where the nature of the security created is a fixed charge or a legal mortgage. A floating charge over shares is, however, required to be registered at the CAC. Though a fixed charge over shares is not a registrable instrument, certain practitioners have increasingly been filing the fixed charge as a miscellaneous document at the CAC, in order to notify third parties that conduct a search on the records of the company creating the charge, of the existence of the charge. In other to facilitate enforcement of the security, lenders usually require the borrowers to execute a blank share transfer form. Security may also be created over shares that are dematerialised and kept with a central depository. In Nigeria, the company that operates Nigeria’s central depositary for listed shares is known as the Central Securities Clearing System (CSCS). A memorandum executed by both parties requesting the CSCS to place a ‘lien’ on specific quantity of shares or all the shares of an account owner, is required to be forwarded to the CSCS. The word lien is used in this sense as a description for the security interest that is created over the shares or account.9 Legally, the nature of the security interest that is created is a floating charge over the shares and as such, will require registration of the interest at the CAC if the party granting the security is a company. Under Nigerian law, security interest may be created over the money in bank accounts either by way of a fixed or a floating charge. A fixed charge is created over deposits in bank accounts, where the parties expressly state that they have created a fixed charge over the bank account, which must be adequately and sufficiently described in the security document; and the bank or security trustee must have control of how the funds deposited into that account are managed or dealt with. Where the charge created on the security is a floating charge, the chargor controls the charged accounts until the charge crystallises into a fixed charge following certain events stipulated under the security document. A floating charge over cash deposits will require registration at the CAC. The registration must be preceded by the payment of stamp duty on the document creating the charge, usually at an ad valorem rate. Security can be created over intellectual property, such as patents, trademarks, copyright and designs.14 Usually, parties execute a deed setting out the terms and conditions on which the security is granted. Security may also be created over a company’s claims and receivables, which can be by way of an assignment, floating or fixed charge. Assignments must be in writing and must be preceded by the payment of stamp duty on the deed of assignment, at an ad valorem rate and registered with the CAC. As noted above, where the security is immovable property, the consent of the governor of the state where the property is situated must be obtained, and this usually attracts the payment of a fee that varies from state to state. Once the governor’s consent has been granted, the security interest over the land must be registered at the relevant state’s lands registry, which also attracts a fee that varies from state to state. With respect to companies creating security over their assets, a registration fee of 1 per cent of the sum secured is required to be paid to the CAC, where the company is a private company and a registration fee of 2 per cent of the sum secured, where the company is a public company. The stamp duty payable on a debenture deed or deed of share charge is 0.375 per cent of the secured amount. In respect a security by way of assignment, the stamp duty payable on the deed of legal mortgage and assignment is at an ad valorem rate of 1.5 per cent. Nigerian law recognises the rights of parties to commercially structure their transactions to allow the security documents to be stamped for an initial amount and then subsequently upstamped for additional sums. Consequently, on a large financing, parties may agree for the security documents to be stamped to cover a certain value, which may be less than the value of the amount that has been borrowed. Guarantees are a common form of security used in finance transactions. A guarantee must be in writing (or evidenced in writing) and signed by the guarantor or a person authorised by the guarantor. Where no consideration has been furnished for issuing the guarantee, it must be granted by way of deed. Negative pledges are designed to mitigate risk to lenders, by prohibiting the borrower from creating security or quasi-security over its property, without first obtaining the prior consent of the lender or granting the lender commensurate or similar security as well. The most common forms of quasi-security used in Nigeria include; hire purchase agreements, retention of title clauses in contracts, conditional sale agreements, negative pledges and letters of comfort. Security interests are typically ranked and given priority according to the date of their creation and the nature of the security interests, whether legal or equitable. Generally, under Nigerian law, a legal interest will rank in priority over an equitable interest. Under Nigerian law, a fixed charge will usually have priority over a floating charge, unless the terms on which the floating charge was granted prohibited the company from granting any latter charge having priority over the floating charge and the person in whose favour such latter charge was granted had actual notice of that prohibition at the time when the charge was created. Where more than one creditor has the same type of security interest, for instance where there are two legal interest over the asset of the borrower, the security interest that was registered first in time will rank ahead of the subsequent secured party. With respect to security created over the assets of a company incorporated under the laws of Nigeria, where such security is not registered within 90 days of the date of creation or such other prescribed period, the security becomes void against the liquidator of the company and other third-party creditors, but not the company. Ordinarily, contractual subordination is recognised and enforceable under Nigerian law. Creditors may agree among themselves to contractually vary the order of priority or waive or subordinate their security interests to those of other creditors. Creditors may enter into a contractual subordination arrangement, whereby junior creditors agree to subordinate their payment rights to the payment of debts due to senior creditors or agree to turn over monies collected from the debtor to the senior creditors. Intercreditor agreements are contracts between two or more creditors agreeing in advance on how their competing interests in their common borrower will be dealt with. It could contractually restrict junior creditors from commencing enforcement proceedings against the debtor company, provided that any of the obligations owed to senior creditors are outstanding.18 In the event of a breach, the senior creditors may have a right to proceed against the junior creditors and claim any proceeds received by the junior creditors pursuant to the terms of the intercreditor arrangement. Under Nigerian law, there are some reservations with respect to financial assistance. Nigerian law prohibits a Nigerian company and any of its Nigerian subsidiaries from providing financial assistance directly or indirectly for the purpose of acquiring shares in that company. The term ‘financial assistance’ is broadly defined to include ‘a gift, guarantee, security or indemnity, loan, any form of credit and any financial assistance given by a company, the net assets of which are thereby reduced to a material extent or which has no net assets’. The consequences of failing to comply with the Nigerian financial assistance rules are serious, as any transaction that represents unlawful financial assistance is void and unenforceable. Furthermore, the company and its officers will be guilty of an offence and liable on conviction to a fine. 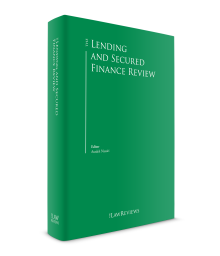 The typical types of opinion that are issued in a lending transaction are either: (1) a capacity and authority opinion, which confirms that the borrower has the capacity and the authority to enter into the opinion documents; or (2) a legal, valid, binding and enforceable (LVBE) opinion, which confirms the foregoing, as well as the fact that the obligations undertaken in the opinion documents are legal, valid, binding and can be enforced against the person that the opinion is being issued with respect to. Typically for finance transactions conducted in Nigeria, the counsel to the lender is responsible for most of the transaction documentation, including the preparation of an LVBE opinion on the transaction. However, this does not preclude the lenders requiring that the borrower’s counsel should also give a capacity and authority opinion. Nigerian law permits contracting parties to freely choose the law that will govern their contract, provided that the choice of law is real, genuine, bona fide, legal, reasonable and was not made in bad faith or contrary to the public policy. The governing law of the contract would determine the construction, validity and performance of the agreement. In the same way, foreign judgments may be duly enforced in Nigerian courts, provided they are not contrary to the public policy of Nigeria. There are two regimes for the enforcement of foreign judgments in Nigeria; the statutory regime and the common law regime. Statutorily, the Reciprocal Enforcement of Judgments Ordinance 1958 provides for the registration and enforcement of foreign judgments in Nigeria, specifically judgment obtained from the High Courts in England or Ireland or from the Court of Session in Scotland. Thus, under the statutory regime, the Courts of the Federal Republic of Nigeria will recognise and enforce (without re-examination or relitigation of the matter adjudicated upon) any judgment rendered by the High Courts of England, in respect of any suit, action or proceeding arising out of or in connection with the Transactions, as long as they satisfy the requirements of the Reciprocal Enforcement of Judgments Ordinance. Under the Common law regime, Nigerian law recognises a procedure whereby a judgment creditor seeking to give effect to a foreign judgment (which does not fall within the purview of the statutory regime) may institute an action for the enforcement of the judgment according to the rules of Nigerian courts. This principle of enforcement of foreign judgments through the common law route has been given judicial recognition in a number of Nigerian cases. Foreign arbitral awards are also enforceable in the Federal Republic of Nigeria without the need for a relitigation of the facts on merits. The New York Convention on Recognition and Enforcement of Foreign Arbitral Awards (the Convention) has been given effect in the Federal Republic of Nigeria by the Arbitration and Conciliation Act, Cap A18 Laws of the Federation 2004. An arbitral award made in any country that is a party to the Convention will be enforced by the courts in the Federal Republic of Nigeria subject to the provisions of the Convention. Loan trading may occur with both individual debts and company debts. The practice of loan trading at this time is generally through novation or assignment, where the lender transfers its rights under the loan agreement to a new lender. This new lender then assumes the position of the old lender, inclusive of its rights and obligations. This is, however, subject to the provisions of the loan documents and the required consents under the agreements between the initial lender and the borrower. A deed of assignment or a transfer certificate is usually executed between the initial lender and the new lender, which may contain an option for the assignor to assign to the assignee the benefit of any supporting security or guarantees related to the facility agreement. The provisions of the deed of assignment must not create new obligations but should only be limited to ongoing obligations on the part of the assignor. If the original lender still has obligations under the loan agreement (such as an obligation to make further advances to the borrower), it is advisable for a deed of novation to be executed in such instances. Parties may also adopt a risk or funded participation arrangement, whereby the lender under a loan agreement subcontracts all or part of its risk to another financial institution or individual. In respect to a funded participation arrangement, the parties agree that the participant will fund the grantor, while for a risk participation, parties agree that the participant will reimburse the grantor on amounts unpaid by the borrower, following a payment default under the loan agreement. Recently, the Nigerian government has been involved in a number of reform activities targeted towards improving the ease of doing business in Nigeria, which has resulted in Nigeria moving up 24 places in the World Bank’s ease of doing business ranking.19 One of the key areas noted in the Ease of Doing Business Report is the government’s drive to expand access to credit for businesses, particularly MSMEs. Consequently, as noted above, the STMA and CRA Act was passed into law in 2017. The government is continuously seeking to simplify lending transactions and as such the STMA Act validates the creation of a security interest in any movable asset, notwithstanding any agreement limiting the grantor’s right to create such security interest. In addition to the above, the Nigerian Senate passed a Companies and Allied Matters Bill (the CAMA Amendment Bill) on 15 May 2018 to reform and ease the process of establishing and managing companies in Nigeria. Under the CAMA Amendment Bill, the cost of registering security at the CAC has been reduced by about 65 per cent. Secondly, there is massive revamp of the insolvency regime in Nigeria, as also set out in the CAMA Amendment Bill. The CAMA Amendment Bill does not yet have force of law, as it needs to be passed by the House of Representatives and signed by the President. 1 Kofo Dosekun is a managing partner, Oludare Senbore is a partner and Oluwabukola Fadahunsi is an associate at Aluko & Oyebode. 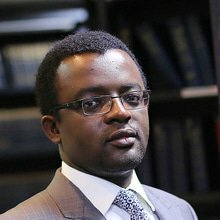 2 N Okafor, O Okafor, J Eimunjeze and AAdesina; ‘Lending and Taking Security in Nigeria: overview’; online: https://uk.practicallaw.thomsonreuters.com/4-524-5665?transitionType=Default&contextData=(sc.Default)&firstPage=true&bhcp=1. 3 Current legislation prohibits both pension fund administrators and insurance companies from providing loans and credit in Nigeria. 4 Goddy Egene; ‘Boosting Consumer Lending’ (2017); online: https://www.thisdaylive.com/index.php/2017/08/23/boosting-consumer-lending/. 5 Central Bank of Nigeria, International Finance Corporation, 2017. The Credit Crunch: How the Use of Movable Collateral and Credit Reporting Can Help Finance Inclusive Economic Growth in Nigeria; online: https://openknowledge.worldbank.org/handle/10986/2627. 6 The CRA and STMA Act was passed into law May 2017. 7 Nigerian Lending Rate; online: https://tradingeconomics.com/nigeria/lending-rate. 9 Richard Calnan, Taking Security: Law and Practice (2006). 10 Central Securities Clearing System Plc; ‘Use of Shares in CSCS depository to obtain loan facility’; online: https://www.cscsnigeriaplc.com/home/usingsharesassecurity. 11 Cogg v. Bernard (1703) 2 Ld Raym 909. 12 Richard Calnan, Taking Security: Law and Practice (2006). 13 Joanna Benjamin, Interests in Securities; A Proprietary Law Analysis of the International Securities Markets (2000). 14 Section 197(2)(i) of the Companies and Allied Matters Act, Laws of the Federation of Nigeria 2004. 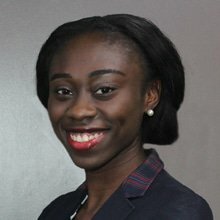 15 N Okafor, O Okafor, J Eimunjeze and AAdesina; ‘Lending and Taking Security in Nigeria: overview’; online: https://uk.practicallaw.thomsonreuters.com/4-524 5665transitionType=Default&contextData=(sc.Default)&firstPage=true&bhcp=1. 16 O Chukwu, O Nathaniel and Ukamaka Okoli (2017); online: https://gettingthedealthrough.com/area/79/jurisdiction/18/loans-secured-financing-nigeria/. 19 World Bank Ranking, Ease of Doing Business in Nigeria 2017, online: www.doingbusiness.org/data/exploreeconomies/nigeria.